It has been almost 20 years since the Subaru Forester broke down the barrier between reliable, family-style sedans and sporty SUVs. Since then, the Forester has become one of the most popular, and best-selling vehicles in the Subaru family. The changes that have been made to the 2017 version demonstrate exactly why the Forester has withstood the test of time. One of the more moderate changes to the Forester is the visible alterations to its exterior styling, while some of the more profound changes to the vehicle include newly available safety features. This includes blind-spot monitoring and reverse automatic braking. 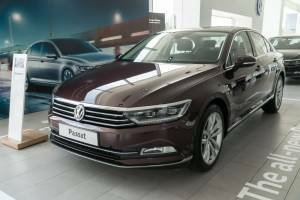 Additional sound-deadening measures and a new Saddle Brown leather interior for the Touring trim have also been included for a more elegant riding experience. This adds a more refined feeling to the Forester which has previously been known for its practical and down-to-earth impression. The 2017 Subaru Forester is available in three trim levels to help you find the right price and configuration to fit your lifestyle. The basic 2.5i has an MSRP of $25,816. 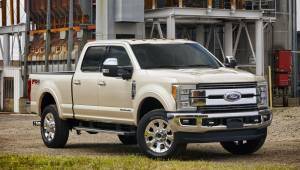 The well-equipped version, 2.5i Premium has an MSRP of $28,216. If you want all the bells and whistles, the fully loaded version, 2.5i Limited is offered with a MSRP of $31,456. Each version features a generously sized cabin, five-person seating capacity, good fuel economy, and a great deal of ground clearance for your off-roading expeditions. The performance of the 2017 Subaru Forester is considered standard for a crossover of its class, but the real highlight is the optional turbocharged engine that provides increased power delivery for the vehicle. Drivers that choose to take advantage of the Forester’s off-road abilities will find that the turbocharged engine provides increased performance on high-altitude and hilly terrain. The boost in speed and power is augmented by the Forester’s precise electrically assisted power steering, powerful brakes, and composed handling. Despite all of this, the Forester isn’t quite as nimble on corners as some of its competitors, but there is minimal body roll. Low traction conditions are easily overcome by the Forester’s all-wheel drive that comes standard with all models. The vehicle’s fuel economy is great when compared to other compact all-wheel-drive SUVs, but it is slightly below average when compared to its overall vehicle class. Fuel economy can be improved by adding the available automatic transmission. The Forester does provide drivers with a smooth, comfortable riding experience, and the decreased noise in the cabin is a welcome addition. Previous versions of the vehicle had no real inner cabin noise dampening, but the cabin of the 2017 Forester is now almost impervious to engine noise, wind and even full-throttle acceleration disturbance. The safety features of the 2017 Subaru Forester include an enhanced EyeSight safety system that now includes lane departure intervention and blind-spot monitoring as well as a rearview camera. The EyeSight safety system also includes a rear cross-traffic alert. Other new safety features of the vehicle include the automatic high-beam headlight control, adaptive LED headlights, and reverse automatic breaking. The vehicle now also features a quicker steering response for better handling and safety. 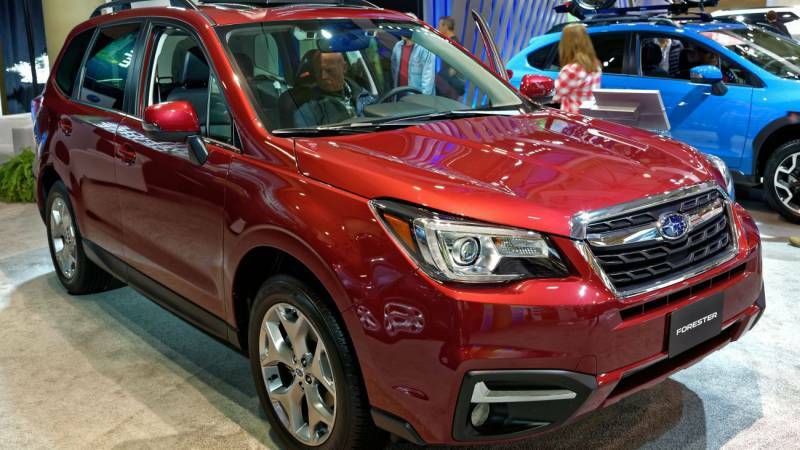 The 2017 Forester has a SUBARU BOXER engine that gives the vehicle a low center of gravity. This helps to improve the crossover’s overall response. The engine also sits lower in the vehicle’s frame to help it drive under the chassis in case of a front-end collision which helps to provide protection for the passenger area. The 2.5i Premium trim comes with a slightly larger 7-inch touchscreen with voice commands. Starlink Safety Plus telematics is also included in this version offering emergency assistance, automatic collision notification, and numerous other remote services. The premium trim also comes with an upgraded six-speaker sound system that features satellite radio. The 2.5i Limited trim comes with an eight-speaker Harman Kardon sound system. As far as vehicles of the same class are concerned, the closest to the 2017 Subaru Forester are the 2017 Honda CR-V, the 2017 Mazda CX-5, and the 2017 Kia Sportage. When it comes to pricing the Forester has the others beat. The lowest of the three competitors is the Sportage at $28,095 MSRP, while the highest is the Honda at $28,935 MSRP. The fuel economy of the Subaru is only outclassed by the Honda, but it’s a minimal difference at 33 MPG for highway miles and 27 MPG in the city. The Subaru does have less horsepower than the others, with the highest being the Honda at 190hp at 5,600 rpm. One thing that should not be overlooked is the drivetrain performance of all four vehicles. The Forester’s turbo power gives it better performance overall when compared to its competition. While the vehicle’s handling can only be viewed as average in comparison, it does offer adjustable response thanks to its SI-Drive system and multiple manual-shift options. The Subaru Forester has a balanced, symmetrical all-wheel-drive design for consistent stability. This provides the vehicle with optimal traction due to the maximum distribution of power. While this offers better vehicle handling conditions, it also makes the Forester more efficient. The combination of the SUBARU BOXER engine and the Lineartronic CVT translates to better fuel economy. This allows the Forester to get an amazing 32 MPG in highway miles and 26 MPG in the city.